The best tools for getting on board with an ancestral lifestyle are at the annual Paleo f(x) event, held in Austin, Texas. Do you remember that moment when Paleo first “clicked” for you? Or maybe when you first discovered the work of Weston A. Price, or heard the term “ancestral health” or “evolutionary mismatch”? Those moments when our perspective suddenly shifts and opens up to a whole new world are exciting—and all too rare. If you’re anything like me, you dive right in and learn all you can. But what happens after that initial excitement dies down and your curiosity is satisfied? How do you put that new knowledge to work in a practical way? This question has been a driving factor in my work. I am passionate about research and data, but not simply for their own sake; I want to use that knowledge to improve my own health and my ability to diagnose and treat chronic disease in my patients. So how does the average person use this information to transform his or her diet and prevent and reverse chronic disease? Especially since there is no one-size-fits-all answer? This is exactly what Keith and Michelle Norris, founders of Paleo f(x), asked themselves on the way home from an exciting Ancestral Health symposium they attended a few years ago. They were fascinated by everything they had learned but uncertain about how to apply it to their lives. And they suspected—correctly, as it turns out—that they weren’t alone. The Paleo f(x) 2016 event is coming up soon. It’s one of the best ways for anyone to learn to put Paleo into practice. There is no better single source on the planet for cutting-edge support for pursuing a Paleo-inspired diet and lifestyle. Get Started – A special lineup of Paleo 101 presentations on the Paleo On Ramp stage. A great introduction to real food and optimal living. Get Inspired – An infusion of motivation to commit more deeply to your optimal health and reach and surpass your health goals. Get Better – Learn ways to live, move, cook, and eat your way to your best health and fitness ever. Prevent and reverse chronic disease. Get Stronger – Assess your overall fitness with the Paleo f(x) FitScore. Get Grub – Catch some great live cooking demos, meet some of your favorite cookbook authors, and sample delicious Paleo-friendly snacks. Get Social – Most past attendees will tell you that the best part is meeting new like-minded, fun, and friendly people. Setting you up for success – and fun! I’m committed to bringing people simple tools for making healthy changes in their lives. My book, The Paleo Cure, offers a practical approach to embracing a diet and lifestyle that is in closer alignment with what our bodies were designed for. My 14Four program offers even more practical support (videos, handouts, step-by-step procedures) for making real-life changes to your diet, sleep, physical activity, and stress management practice. 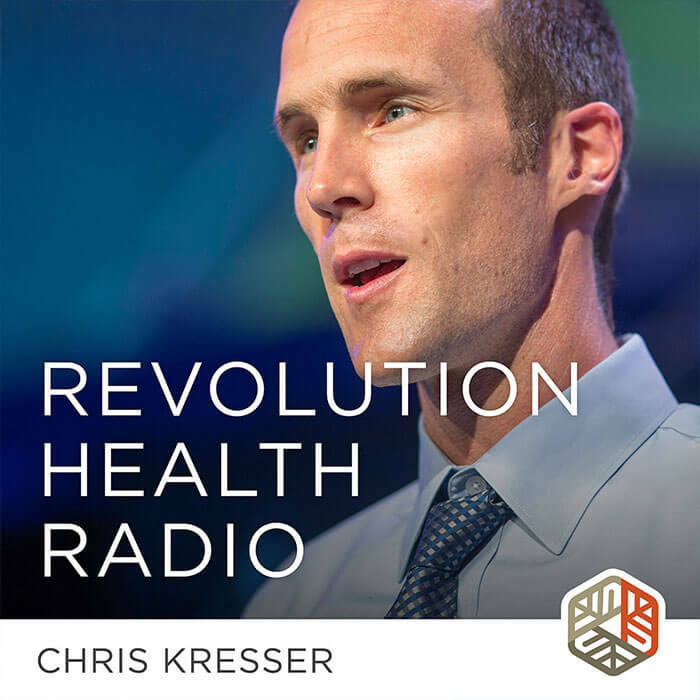 Most recently, I launched the Kresser Institute to help clinicians to apply Paleo and ancestral principles, along with a functional medicine approach, in their work with patients. In addition to delivering a keynote talk at the event, for the first year ever, the Kresser Institute will be a sponsor of Paleo f(x). I’m looking forward to connecting with all the great folks at the event (and in fact, this is the main reason I go each year!). I’m especially excited to connect with clinicians and other health professionals because we desperately need more of them working on the front lines of ancestral and functional medicine! If you’re a healthcare provider, join us at Paleo f(x) and be sure to pre-register for the free practitioner networking event in the Kresser Institute Networking Lounge. Attendance at this networking event is free, but space is limited and last year it filled up quickly. If you’re interested in ancestral health, functional medicine, and fitness and nutrition in general, Paleo f(x) is not to be missed. Get your ticket now before they sell out! Back on 25th September, 2016 I was sent an e-mail link in regards to a Paleo high protein snacks plus Paleo desserts cookbook which I think must have been promoting someone else’s books but load and behold I can no longer find the information in regards to these two books. Do you have a link for these as I would like to order them? There have definitely been infants at the event and they are quite welcome from what I’ve seen (though it’s obviously an event for adults). The expo floor can be a bit frenetic, so if the baby isn’t bothered by that kind of setting, it’s probably fine. If you’re in a talk and the baby is fussing/making noise, I think it’s appropriate to step out until she is soothed so as not to disturb the large group trying to listen to the speaker (and disrupt the audio recordings they do). I hope that helps! Sorry for the delay in getting back with you. Being so close to Paleo f(x) we are getting several emails a day. However, we do try our best get back with everyone between 24-48 hours. To answer your question, babies are always allowed and nursing is allowed anywhere at the event. Also, if your wife prefers, we will also have a lactation room on site if she prefers privacy. Looking forward to seeing you and your family at Paleo f(x) this year! One more question… will there be any activities or talks for younger people like her? I don’t expect there to be many 13-year-old kids running around… but just curious if there will be anything targeted towards younger folks. Hi…. I am very interested. Cannot attend. Will info be available thru you? Look forward to learning more. I got to attend Paleof(x) is 2014 with a friend and it left me feeling inspired and grateful to be around so many like minded people. Amazing experience and hope to attend this year! Do you know what “f(x)” stands for? I always see it as “function of x,” and that makes no sense in this context. An Internet search didn’t help. Gretchen, the ‘f(x)’ stands for ‘Functional’ as in “Functional Paleo”. It’s our way of representing the “Theory to Practice” intent of Paleo f(x). The event is all about applying ancestral health principles in real life practice, to make people’s lives better.